This week's charts cover the period from March 11th to March 17th. An interesting week for free downloads in the US saw lots of new arrivals on the App Store as Kwalee’s Draw It took top spot. Alongside this, Tastypill’s Pick Me Up and Ubisoft’s Scream Go Hero rounded out the top five. In contrast, there were no new entries on Google Play’s free chart. Stardew Valley claimed first position for paid installs after finally seeing its release on Android. Candy Crush Saga held first across both the App Store and Google Play for top grossing while all other titles remained reasonably static. Not able to recreate its US success, Draw It managed to grab fourth position on the Great Britain and Ireland App Store chart. 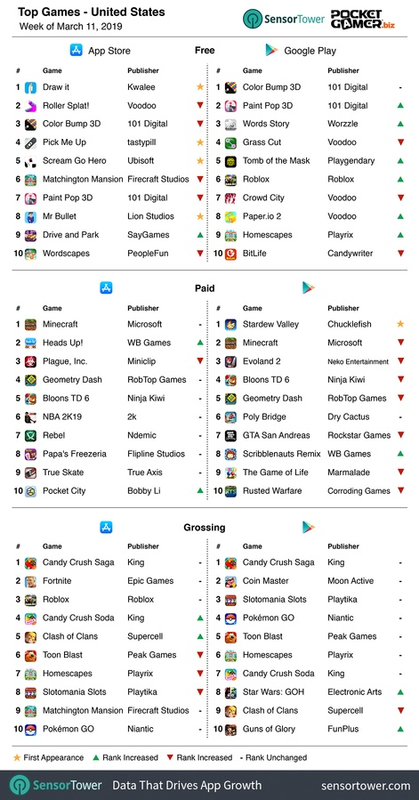 Stardew Valley on the other hand, did recreate its triumph for paid installs on Google Play, knocking Minecraft down to second. 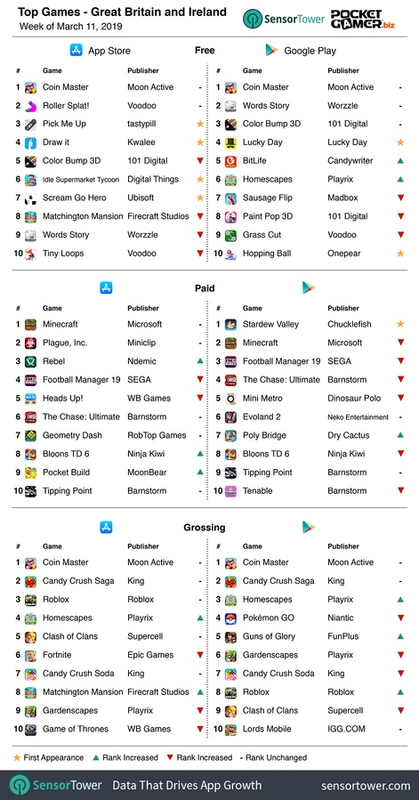 Coin Master continued its dominance taking top spot across both stores for free downloads and top grossing. Hanging on by a thread, WB Games’ Game of Thrones debuted at number nine the previous week, however has now slipped down to 10th. 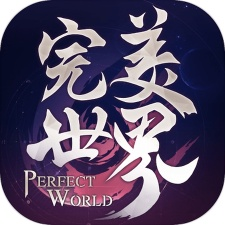 Tencent’s Perfect World had a near-perfect week, keeping hold of first place for free downloads, while also doing the near-impossible: usurping Honor of Kings at the summit of the top grossing chart. Yeqing Lu’s Ninja Must Die 3 was the only new entry in the top grossing rankings, for top grossing claiming ninth position. 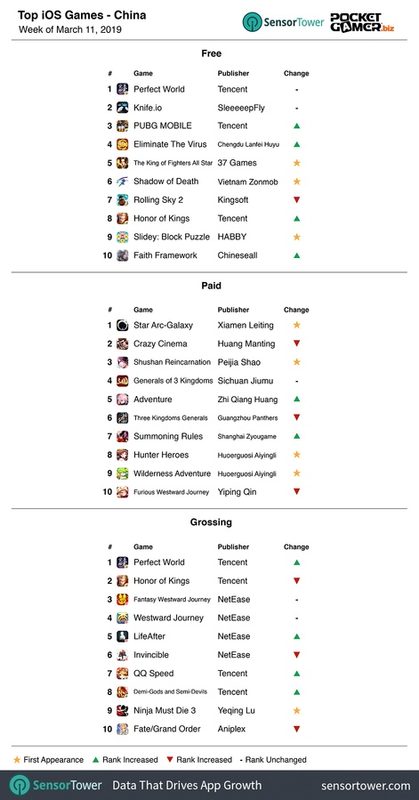 Shadow of Death, The King of Fighters All Star and Slidey: Block Puzzle meanwhile were all new debutants for the top 10 free downloads in China. There was another shake-up in the paid downloads chart with Star Arc-Galaxy by Xiamen Liting leapfrogging Huang Manting’s Crazy Cinema to seize first spot.